Bitterness is so very unseemly. 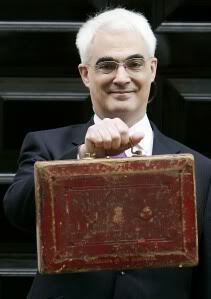 This weekend Alistair Darling has managed to personify this most unpleasant characteristic. Extracts from his memoirs on his time as Gordon Brown’s chancellor which are being serialised in the Sunday Times reveal just how much opprobrium he has been harbouring against the former Labour prime minister since he left office. And, just in case anybody failed to get the message Brutus, sorry, Mr Darling ensured the blade penetrated as deep as possible by articulating how “hurt” he was to Andrew Marr this morning. If his intention was to humiliate Mr Brown and provide the Tories with ammunition they can dine out on for a while, then he has succeeded. In the wee hours of Sunday morning an old corroded filling fell out on to my pillow. 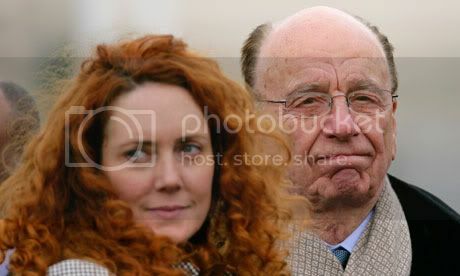 I know, rather more information than you needed and what does it jolly well have to do with News Corp? Well, be patient and I will reveal all. I hot-footed it to my dentist on Monday. After poking and prodding around for a few minutes he began to mutter something inaudible under his breath. He then leaned back on his black leather swivel chair and shook his head. I have a sweet-tooth so I knew it would be bad. Sorry, I am digressing again…. He told me off for missing so many appointments in the past year and I explained that I am a journalist who was doing shift work at the time. It was then a light came into his eyes as if he were possessed by an evil spirit and he began to talk about the NOTW and all the revelations and allegations. You see, I told you I would get to the point eventually. His accent suggested he was Eastern European but he was a little reticent about mentioning where he was born. He would only refer to his homeland as “my country”. “My country has problems…..the state…… Britain is democratic….. we look to [Britain]..”. He was genuinely disconcerted by the unfolding News of the World drama. He went on to say that if “we” could not get it right what chance did his country have. I have to admit I was surprised. I had forgotten that other countries still see the UK as a shining beacon for democracy, ethics and morals. My dentist’s perspective was in stark contrast to my nonchalant taxi driver a few days earlier who was not remotely surprised by the news headlines. “I have taught myself not to get bothered with all that stuff otherwise I would be pulling my hair out,” he stated.